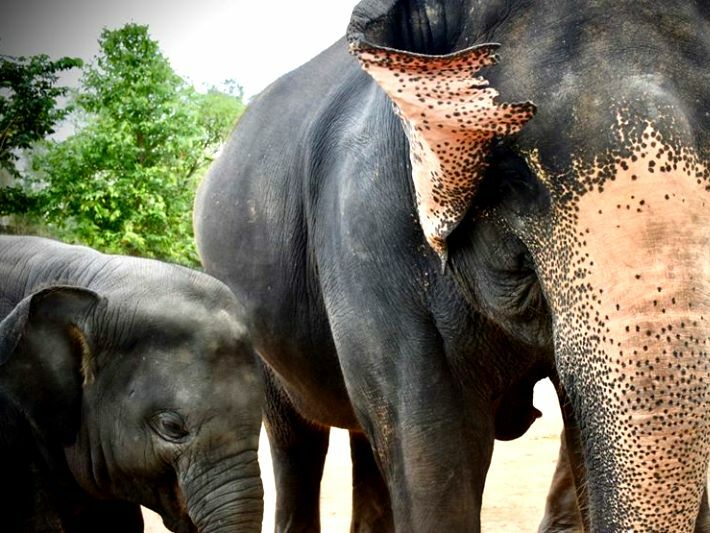 Where do the rescued elephants in Thailand come from? 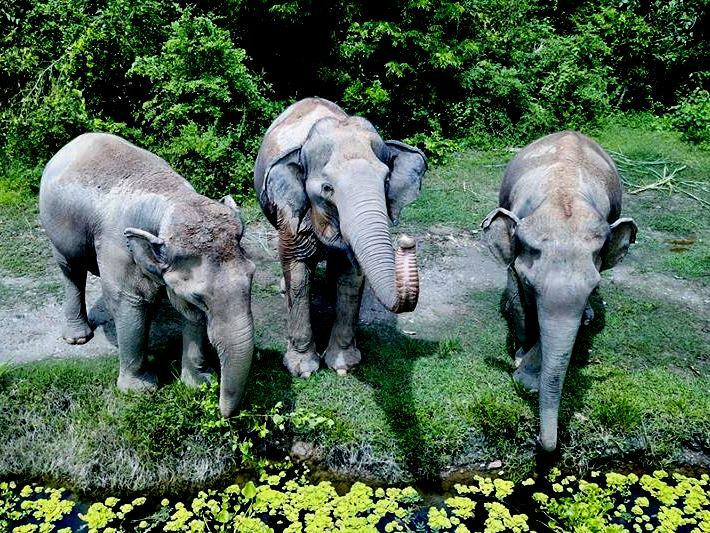 The elephant sanctuary in Thailand has been growing over the last 5 years, and is currently home to over 20 elephants. But where do the rescued elephants in Thailand come from? 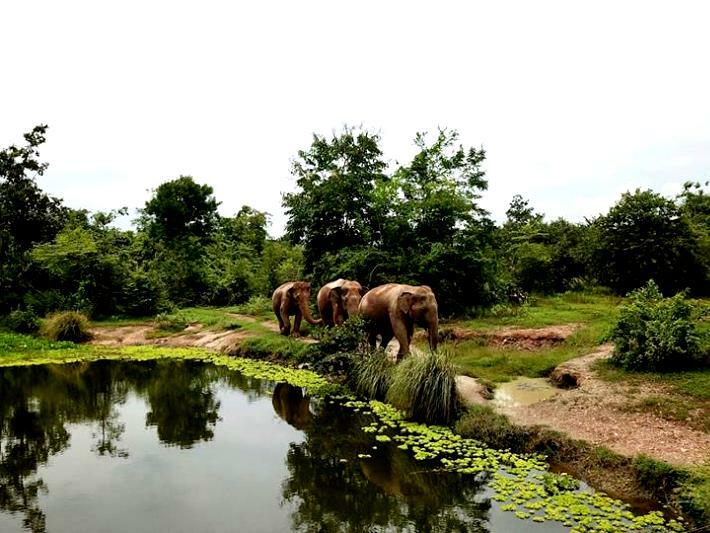 Below we explain some of the backgrounds of the elephants, and how they came to be under the care of the sanctuary. To find out more about joining the elephant sanctuary as a volunteer, and helping with these rescued elephants in Thailand, see our elephant sanctuary webpage. 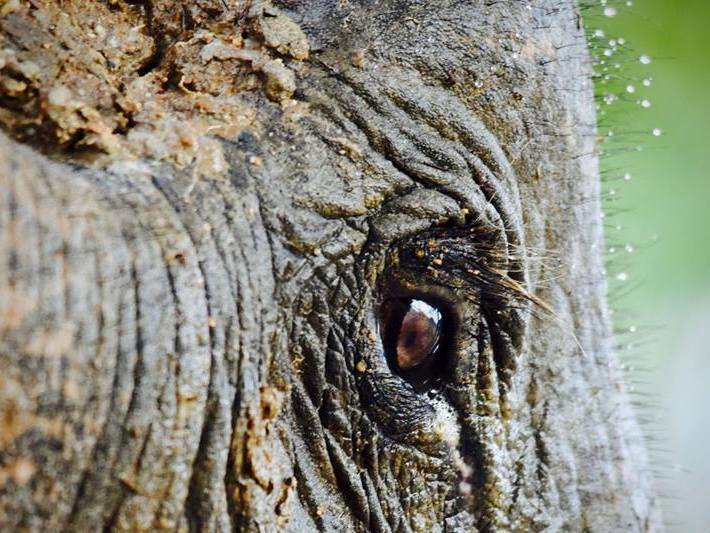 In 2016, a trekking camp in Thailand was found to be severely abusing and exploiting their elephants. 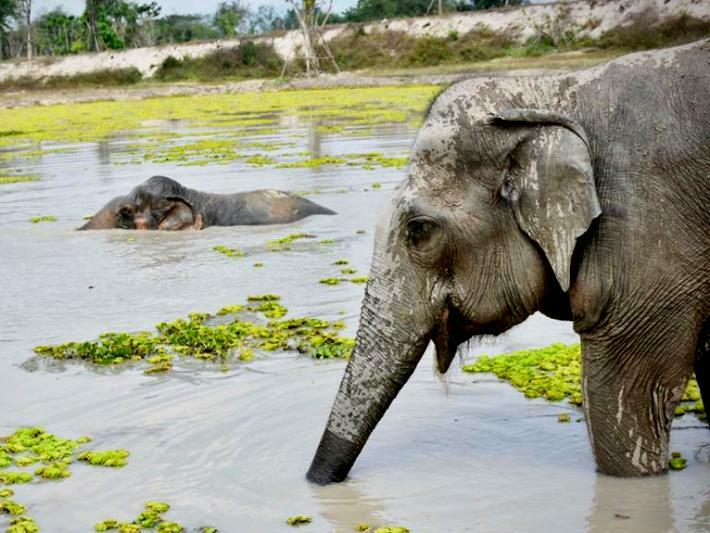 One of the elephants, Malai Ngun, who was rescued from the camp, has had a tough life. Before working as a trekking elephant in the tourist camps in Pattaya, she had also been used for street begging and logging. Aged 65, she was brought to the sanctuary to live out the rest of her days in peace and quiet. She is a very independent elephant, and captured many hearts straight away. On her second day in quarantine, she managed to find a way to escape and was found several villages away, eating some crops. She was returned, and gradually adapted to a life without chains, where she could come and go as she pleased. She loves her daily walks with the volunteers, and is a gentle and friendly elephant. Two of the elephants at the sanctuary are mother and daughter. The mother, Apple, was working as a trekking elephant when she became pregnant. Her owner realised that there was a lot of money to be made by selling the baby elephant. Mother and baby were allowed to stay together for 8 months, at which point the owner decided to sell little baby Princess. Some very generous donors rallied together, desperate not to allow mother and baby to be separated. In 2015, both Apple and Princess were lucky enough to come to the sanctuary together – the first of Apple’s children that she was allowed to stay with. Princess is the only elephant at the sanctuary who has never had to work or be subjected to abuse. See Puak is over 55 years old. She was captured from the wild when she was only small, and was brought into an elephant camp to entertain tourists with tricks. She worked hard for over 23 years of her life, entertaining tourists with unnatural antics. Due to this background, she loves attention, and will often be seen showing off to the volunteers – but never in unnatural ways any more. She loves to swim in the pool in her enclosure. Some elephants that are easy to train can be used in the film industry. One of the elephants at the sanctuary was exceptionally easy to train thanks to her love of food. She will do most things in return for a tasty snack or two This has meant that she has been in several films over the years. Luckily, her love of food did not diminish after her film career was over. This meant that it was a very easy rescue – she just followed the treats on to the back of the truck and munched through food for the whole journey. It is not uncommon for elephants that have worked in trekking to be put to use street begging once they are too old and crippled to carry tourists any longer. This was the case for Pai Lin, who carried tourists on treks for many years. When she could no longer do that, she was taken on to the streets to beg. A sorry sight, she received much sympathy from tourists. Elephants that are trained very young can often be used to entertain tourists. Khan Kluey was born in captivity in a trekking camp, and was separated from his mother aged 1. At this young age, he was tortured into submission, and the scars can be seen all over his young body. It is believed that he is about 15 years old. He spent some time street begging, but his main occupation was in the circus. He was found on the streets of Cha Am in 2008. One of the elephants at the sanctuary was found roaming the streets in 2007. She had been abandoned by her previous owners after she had become unable to work in the logging and trekking industry any further. In 2006, after several years of roaming the streets to survive, she was hit by a car. This accident severely damaged her rear leg, causing her great distress. She was rescued not long afterwards, and now has a very happy and comfortable life at the sanctuary.